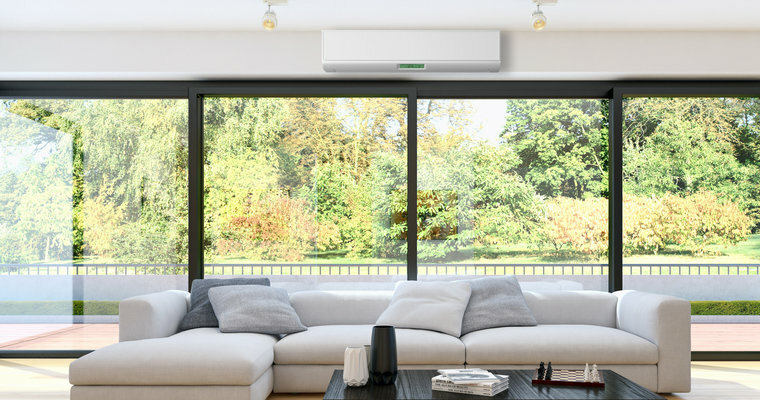 The GL Super Efficient High Wall Mounted Heat Pumps are idea where it matters most – in living rooms and bedrooms! The EcoCore® High Wall Heat Pump Range has set new standards in super energy efficient heating. Next generation EcoCore® Technology has been designed with the consumer in mind, as it uses less power than ever before. All models in the GL series are capable of reaching temperatures quickly. However, with the one-touch Powerful Mode setting, the device produces more airflow to reach these temperatures even faster. Heat or cool a room in a flash and simply allow the unit to automatically return to the regular setting. Our installers can advise what model is best for your space before installation. With all necessary features incorporated into the heat pump systems, installation is quick. You will have your heat pump up and running in time for the cold months. Once installed, you will be offered some advice on how to clean the filters and keep the airflow as clean as possible. With an automatic diagnosis function, you will be alerted in the unlikely event of a fault or failure. Connect your High Wall Heat Pump to your smartphone, tablet or online account and control your unit while on the go with Mitsubishi Electric Wi-Fi Control. No matter where you are, you can manage your heat pump with the touch of a button and arrive home to total comfort. Read more about Mitsubishi Electric Wi-Fi Control here. Contact us now before the cold really sets in to find out how you can enjoy winter warmth with a Mitsubishi Electric heat pump.